If you require a London plumber to install a waste disposal, the Handy Squad have the perfect team for the job. Whether you need a unit to crunch up waste that goes down the kitchen sink or waste that goes down the toilet, our plumbers can help. We cover the whole of London, so if you’re looking for a plumber near you – make sure you check our Areas Covered page for plumbers in Twickenham, plumbers in Fulham, plumbers in Wimbledon, and much more. 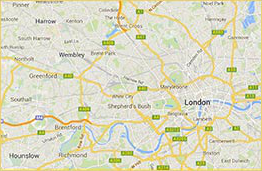 You can see us all across London in our unmistakable yellow scooters ready to help with any plumbing jobs you might require. Give your local plumber a call on 0800-0-12-12-12 or fill out our online booking form. A waste disposal unit, also known as a macerator, can be installed in sinks, toilets and other appliances. Macerators are used to help transfer bathroom or sink waste to the existing waste pipes by breaking down material – this could mean softening, churning or cutting waste. These waste disposers are mainly used in situations where transferring waste is difficult due to the distance or height between the source and the main drain line. 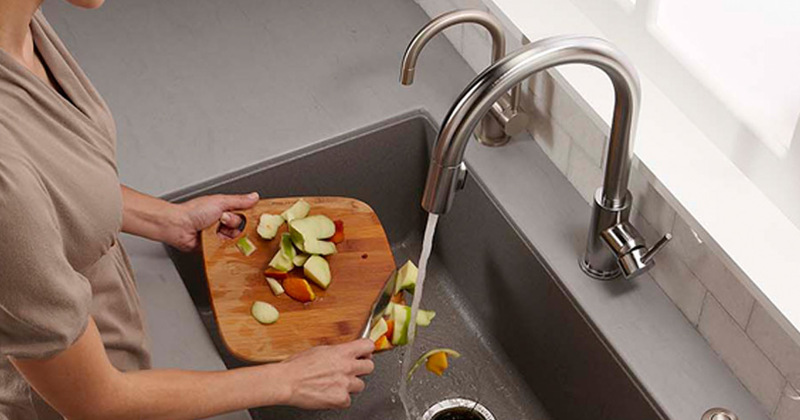 Kitchen sink waste dispensers, such as the InSinkErator, can be easily fitted under the sink. This food waste disposer grinds food waste into small particles, and then flush them into the waste water pipe. Our plumbers can install any sink garbage disposal unit, such as InSinkErator waste disposers, Franke waste disposers, Tweeny waste disposers, Maxmatic waste disposal, amongst other units. Toilet macerators or upflush toilets send waste to the macerator located behind the wall or toilet. The macerator pump uses fast-rotating blades to break up waste, which is then pumped out into the main drain line. The Handy Squad’s plumbers can install a Saniflo macerator or any other bathroom pumping system you might prefer. In case your macerator toilet is blocked, our professional plumbers will be able to give you an extra pair of hands. We also offer other plumbing installations, including installing new garden taps and installing toilets; shower unblocking and urinal unblocking; plumbing fixtures replacement and repair. The Handy Squad has an array of other tradesmen who you might require, such as electricians, locksmith, carpenters or a general handyman. Request a free booking by filling out online booking form or call us on 0800-0-12-12-12.